Updated Wednesday July 5, 2017 by BWSP. 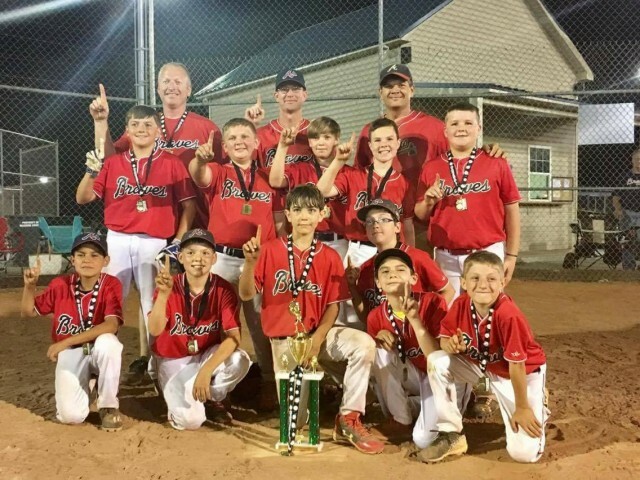 The 11u Boys Braves Baseball team brought home the gold tonight at Mt. Carmel. It was a tied game going into the last inning with Coach Mullins Braves scoring 3 and letting the defense handle the rest. Great job boys and coaches!